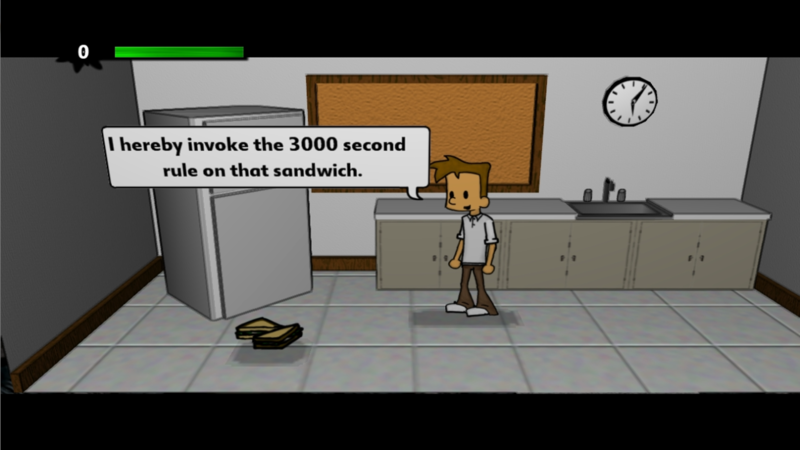 All the Bad Parts was released on Xbox 360 Indie Games back in good ol 2011. Countless lessons learned from its development are being rolling in the brand new game Last Stitch Goodnight. Available now for Xbox 360! Click here to buy it from the Microsoft Xbox Marketplace! 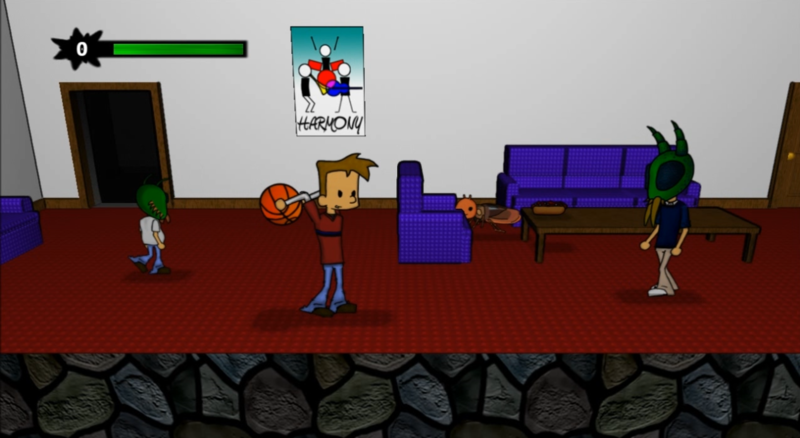 All the Bad Parts is a Side Scrolling Action game. 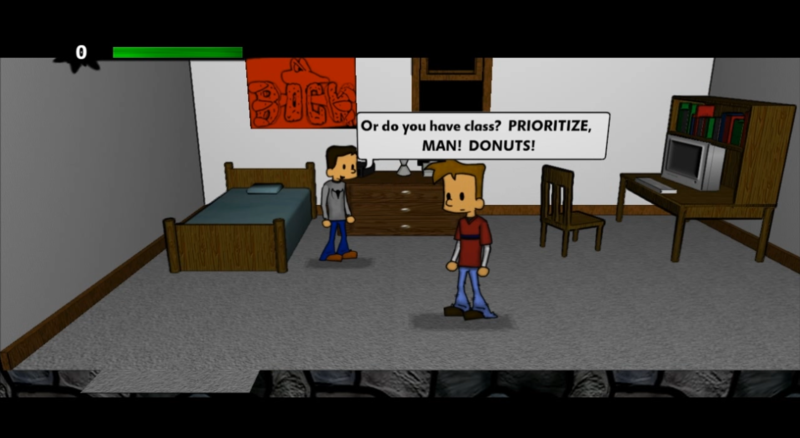 The story begins in a classroom where the player assumes the role of Corbin. Corbin is groggy, confused, and missing his homework. After quickly assembling a (shoddy) paper to turn in, Corbin notices that time is starting to speed up, and everything isn’t as it appears. 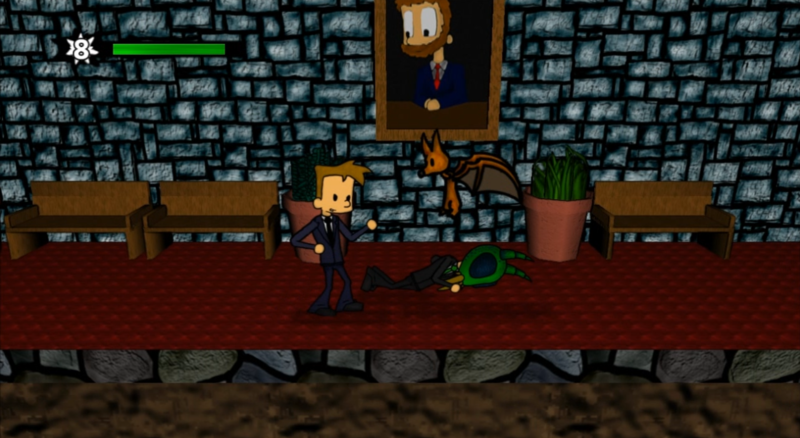 Corbin then has to make sense of the constantly-shifting world around him, fight waves of enemies, and make key decisions on how he is going to handle different scenarios. Whatever decision the player makes, this will become the decision that Corbin made in his life. Ultimately, the sum of all these decisions will decide his final fate. 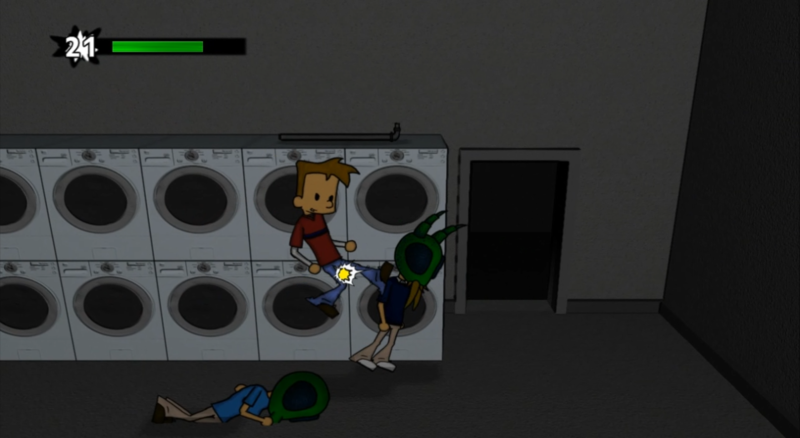 All the Bad Parts features hand to hand combat, weapons, a shifting plot line, and multiple endings. While you are exploring, you will come across many people who can help you on your journey. At some intersections the action will pause and let you catch your breath while characters talk to each other. Be sure to pay special attention to what they say to you; it may be the only way to find out what is going on around you. 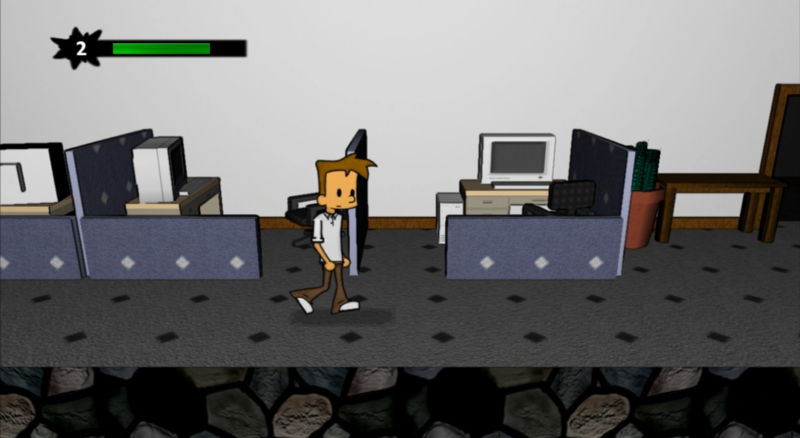 As the player’s world erupts into chaos, he will find himself going up against several different types of enemies. Some fly, some crawl, and some just punch you in the face. None of them can be defeated with civilized discourse. There are over 1,100 species of bat. A vast majority of them get along fine with humans. One species, however, has developed a taste for human blood. Or pig blood. Or hedgehog blood. Really, it doesn’t have what you’d call a refined palate. Whenever anything horrible in history has happened, rats have been there, feeding on our misfortune. They freely spread the plague during the Middle Ages. They were, quite suspiciously, the first evacuees of the Titanic. And first hand reports indicate that the Great Seattle Fire of 1889 was started by a group of “no-good-punk-kid rats who were smoking behind a carpentry shop”. They are far better organized than you’d think. They eat our wheat while the crops are still growing in the fields. They drink our blood while we are out enjoying a picnic. And when we die, they devour us whole. And despite the fantastic service we give them, they are lousey tippers. Fights in All the Bad Parts may start with fists, but they usually end with large heavy objects being lobbed. A wide variety of weapons can be found. Some can be wielded like a club, some can be thrown, but all are guaranteed to help you in your journey. If you hit an enemy, they’ll see red, but if you get hit, the world will explode in pain, and your vision will shake as you try to stabilize yourself. Note: The “Camera Shake Feature” can easily be turned off by “not getting hit”. Over three feet of wood that has been designed to send a small leather-wrapped ball sailing over an outfielder’s head. Coincidentally, it works almost as well to fight off advancing enemies. And if you give them a splinter, it might just do extra damage! Nature’s way of telling an opponent “we just aren’t meant to be friends, our lives our taking us in different directions, it’s not you it’s me”. The most meleest of the melee weapons to be found in the early levels. Range, speed, and a decent “ow” factor. It is impossible to fight an unknown future on an empty stomach. Luckily, the world is littered with edible treats that will re-energize you for the fight ahead. Unfortunately, it is literally littered. You might want to dust it of first. Or, if it’s a drink, at least check for floaters.